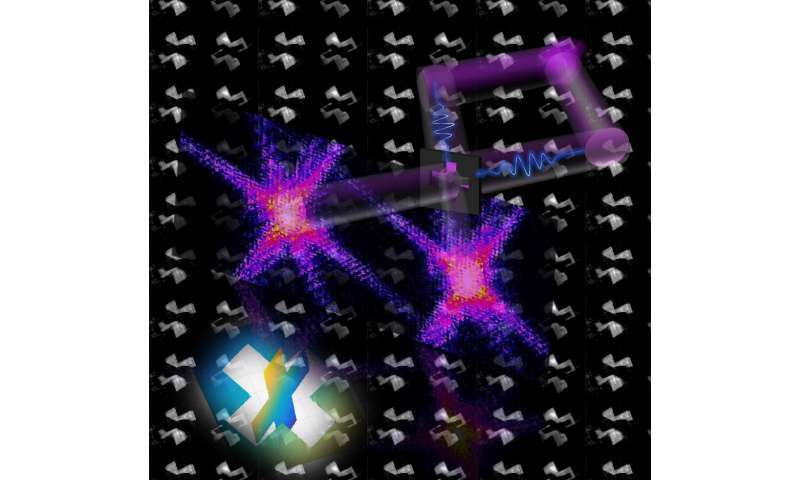 Lensless microscopy with X-rays, or coherent diffractive imaging, is a promising approach. It allows researchers to analyse complex three-dimensional structures, which frequently exist in nature, from a dynamic perspective. Whilst two-dimensional images can already be generated quickly and in an efficient manner, creating 3-D images still presents a challenge. Generally, three-dimensional images of an object are computed from hundreds of individual images. This takes a significant amount of time, as well as large amounts of data and high radiation values. "Our method enables 3-D reconstructions on a nanometric scale using a single image which consists of two images from two different perspectives," says Professor Milutin Kovacev from the Institute of Quantum Optics at Leibniz University Hannover, who is one of the co-authors of the study. According to the authors, the method will have a significant impact on 3-D structural imaging of individual macromolecules and could be used in biology, medicine, as well as in the industry. For example, the protein structure of a virus could be analysed faster and with very little effort. The protein structure has an immense influence on the function and behaviour of a virus and plays a decisive role in medical diagnoses.